Application Deadline: varies per country, however on a general note, it is usually from February to May annually of the preceding year you wish to study. Eligible Countries: Citizens of more than 155 countries worldwide, including countries in Africa, East Asia and Pacific, Europe and Eurasia, Middle East and North Africa, The Americas, and South and Central Asia. Eligible Field of Study: The Fulbright program encourages applications from all fields, including interdisciplinary ones except medical degree program or clinical medical research. About Scholarship: The Fulbright Foreign Student Program enables graduate students, young professionals and artists from abroad to study and conduct research in the United States. The scholarships are for study towards a Master’s or PhD degree, and can also be awarded for non-degree postgraduate studies. Study and research under this program is for one or more years at U.S. universities or other appropriate institutions. 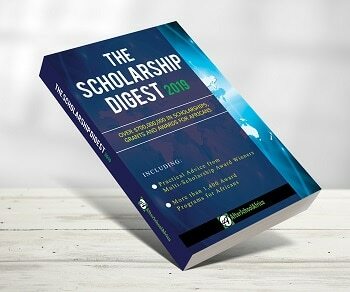 Number of Scholarships: The number of awards varies per country, but approximately 4,000 foreign students receive Fulbright scholarships each year. Value of Scholarship: The Fulbright program provides funding for the duration of the study. The grant funds tuition, textbooks, airfare, a living stipend, and health insurance. See the official website for the exact scholarship benefits. How to Apply: All applications to the Foreign Student Program are processed by bi-national Fulbright Commissions/Foundations or U.S. Embassies. Therefore, foreign students must apply through the Fulbright Commission/Foundation or U.S. Embassy in their home countries. Important Notes: Note that the Institute of International Education (IIE) arranges academic placement for most Fulbright nominees and supervises participants during their stay in the United States.